My name's Scott Wesley and I'm a Oracle Database Consultant & Trainer with Sage Computing Services. We're based in Perth, Australia - the most isolated capital in the world. Check out my social network for ways to contact me. These days I'm a huge fan of most things APEX with a big dash of jQuery. Though I have a rich interest & history with SQL & PL/SQL. I've done hard time on major Forms & Reports applications. I'm a frequent contributer to the Australian Oracle User Group and enjoy presenting on niche topics. My past presentations are coalesced here. In 2013 my video course (screencasts with my voice) on Oracle APEX Techniques was published by Packt Publishing. In 2014 I was recognised as an Oracle ACE. In 2015 Apress published my book on using jQuery in APEX. My aim with this blog is to become more involved in our Oracle Community and share various snippets I encounter day-to-day and have stored in my back catalogue of randomness. No doubt I'll want to share my perspective on various Oracle news and I'll have the occasional insight and will to post something larger. Use my own name - for some people I think that works rather well. Some people gathered some form of identity before they started blogging, so their name can become similar to a brand. Refer to an Oracle product - I didn't want to pin myself to one particular product. While I consider myself a PL/SQL developer, I also use Forms, Apex etc. Over time all of us might migrate into other product lines. If I so chose to rabble about something Oracle, I wouldn't feel out of place. Do something else - I like to be different. There are some successful blogs out there (Oracle and otherwise) whose name doesn't obviously reflect the content involved. I originally chose Triangle Circle Square because I can reflect on my training in budo. When you meet some form of adversary, we need to confront them in a strong triangular stance. For many techniques we'd pivot around in some form of circular movement then finish in a strong squatting stance that whose posture resembles a square. I was able to translate the challenges I faced in the Oracle world to this analogy. It was suggested it was a little far removed; and while it has served me for around 30 months, I found another term I feel encapsulates the style of my blog and my approach to a number of facets of life - grassroots oracle. My inaugural post detailing my original blog title may be found here. I've also retained a portion of the original artwork in the new header - it's from a painting by a fellow who lived on the island known as Japan in the 18th century. Much can be interpreted from this philosopher's doodling - the rough English translation of this painting is "Universe". David Suzuki comments on it well, but many like to contemplate for themselves and build their own interpretation. You might consider the use of grass roots understanding to use Oracle effectively, and solve the various problems using the triangle circle square analogy. Yours is really a database design issue. I did a presentation on Oracle Text indexes in 2010 that you may find relevant and interesting. eyes and mind. Can tell me what software did you use to created this page? Is Apex 4.2 capable of creating page like this? For this blog I rely solely on the tools that Google provide through blogger. I do use a syntax highlighter for my code. And Jari Lane is a great example of a blogger using APEX to deliver the goods. 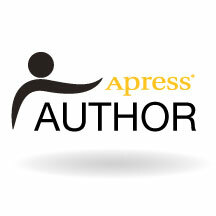 If I had the time I would love to publish using APEX instead. I think it would be rewarding and would teach me a lot - but there are a few other projects higher on the list for me at the moment. The best place for this sort of question is community.oracle.com, using the APEX space. There are a lot of questions between here and what you're looking for, so be prepared to offer what you've tried so far to get it to work.